I started writing this a few hours after Jeremy Lin hit a dramatic, buzzer-beating three pointer over Toronto’s Jose Calderon to win the game for the New York Knicks. This latest episode caps off an incredible two weeks where Lin seemingly appeared out of nowhere in launching himself into worldwide public consciousness, averaging 27 points, 10 assists, and 2 steals, in leading his team to an improbable 6-0 record. The world is just eating up this story because Lin represents the ultimate underdog story- he was basically ignored in the league for two years, until his current New York stint, where his beleaguered coach had no choice but to put him as a last resort. He promptly responded with 25 points, 7 assists, and a W.
The reason why I am a fan of Lin, and probably why millions of others are, is that I can easily relate to his underdog status. The interesting thing is, I identify with him so much as a startup founder. 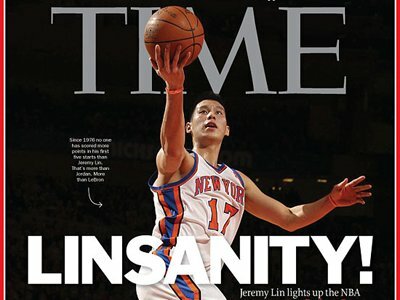 When I see Lin on the court, oddly enough I am reminded of my own challenges as a founder. As a startup entrepreneur, Lin represents the transition I want my startups to undergo – from nobody to somebody, from scrub to star. The Jeremy Lin Experience can teach startup founders a thing or two, or six. Lin was overlooked by 29 other NBA teams for the last 2 years because he doesn’t fit the stereotype. Humble, Harvard-graduating Taiwanese-Americans who are vocal about their faith just AREN’T supposed to be basketball phenoms right? I really relate to this, listening to a bunch of people tell me to my face that HR people aren’t really “strategic” and would be a poor path to business success. Have you heard people tell you your chances of making it are slim because of some stupid stereotype or random characteristic? As Lin is proving in the biggest stage: hey, it doesn’t matter. 2) Don’t drink your own Kool Aid. Here is the fascinating thing about Lin. Watch ANY interview with him. See how he reacts to any references made about “Linsanity”, “The Jeremy Lin Show” or how good he is, or about how popular he is – he graciously deflects every single one of them and instead goes out of his way to praise his teammates and God. This guy practically owns New York now and you can see how uncomfortable he is in the spotlight. The first taste of success can be such a temptation for first-time entrepreneurs. After toiling in work and obscurity, it’s easy to start believing in your own hype and lose focus on what is important: listening to their customers, for starters. Don’t fall into this trap. Stay humble and focused on what is important. I was watching the Lakers-Knicks game a few weeks back and in that game you can see Lin drive headlong into the defense of 7-foot 2010 world champs Andrew Bynum and Pao Gasol. NBA megastar Kobe Bryant comes to guard me? No sweat! Here’s a crossover and a jumper. I remember when we first participated in our first project bidding process way back when STORM was starting out. Three bidders. The first two were large, renowned multinational consulting firms in suits. Then, there was us. At that time, our office was still housed in my living room and we were still using second-hand fast food restaurant furniture. Of course, we felt really very small and thought we’d have no chance. We gave it our best shot anyway. Why the hell not? 4) Nailing That First Opportunity is Crucial. The February 4 game against New Jersey wasn’t Lin’s first NBA game, but it was certainly his first big opportunity game – his first to play meaningful minutes. If Lin responded with, say, 4 points and 2 assist, then that could have easily been it – they were preparing to cut him for another player during that time. But then Lin exploded for 25 points and 7 assists. When opportunity comes, you have to be able to grab it and deliver. For entrepreneurs, these first significant opportunities are crucial – perhaps the first big client, or a big pitch to a VC. You can typically FEEL the opportunity. Then you have to deliver. For STORM, a B2B firm, we felt that opportunity when we were presenting to an IT firm then-called Soluziona back in 2005. They became our first major client. Landing that first major client for an upstart B2B firm makes ALL the difference in the world because corporate clients always ask for other reference clients. I remember they were negotiating that we shorten our projected project timeline from around 3-4 months to ONE month. We had utterly no bargaining power and said yes. And you know what, we just WILLED ourselves to make it in one month. In retrospect, bagging that first big opportunity was so crucial. Once we had our first “reference,” it set us up for landing other opportunities. 5) Stars DON’T Appear Out of Nowhere. Jeremy Lin, because of his background, certainly appears to have done so. One game he barely registered, and the next game, he’s a star. Upon closer inspection though, you’d see the hard work he puts through. You’d see how he used the times he got cut as motivation to work even harder. THIS is where the star was made. Aren’t startups so similar? They seem to come out of nowhere, but in reality, a startling number of them paid their dues and went through an awful lot of work before becoming the “stars” that they are. Twitter was spun off by a company called Odeo – which existed years before they came up with the Twitter idea. It took Rovio 4 years of duds before they found the right formula in Angry Birds. Of course, Final Fantasy is named such because after a series of failures, Square was thinking if THIS game didn’t make money, they’d fold up. During the lockout, Lin was approached by teams from Italy and China to play overseas. I think that would have really meant more money at that time for him. But Lin stayed through with the dream and stuck with his NBA dream, even as he was getting waived by both the Golden State Warriors and the Houston Rockets. Of course, he got his chance in New York, and all is history. This is something a number of startup owners have to be thinking once the going gets tough. When the wallet starts complaining, the work becomes close to unmanageable, and a big wrench is thrown into your plans – isn’t it just tempting to take the safe route and get a “real” job? The next time this happens, turn on the TV and try to catch the Knicks. I hear they got a real nice point guard. What Is Your Fearlessness Quotient?